No self-respecting hep cat would entertain the thought of leaving the house without a perfectly sculpted pompadour, but where do greasers go to ensure they’ll get the finest retro centrepiece possible? They go to Frenchman William Seysell, known to the world as Mr Ducktail. 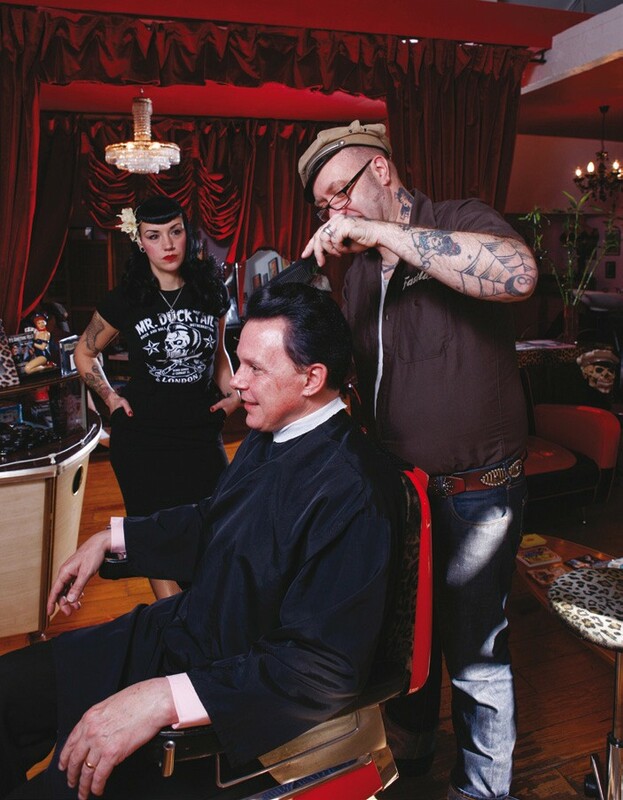 Not only is Mr D rockabilly personified – from his oversized turn-ups to his Stray Cats tattoo – but he takes the bad boy image one step further: he’ll fashion your quiff using a flick-knife. Yes, that’s right, he’ll feather your filaments with steel in hand, and judging by the set of glistening blades he has on show for us, he’d have many a conventional hairstylist dropping their chihuahua and running for the hills screaming. Mr Ducktail is one serious barber – and this is no normal hairdo. 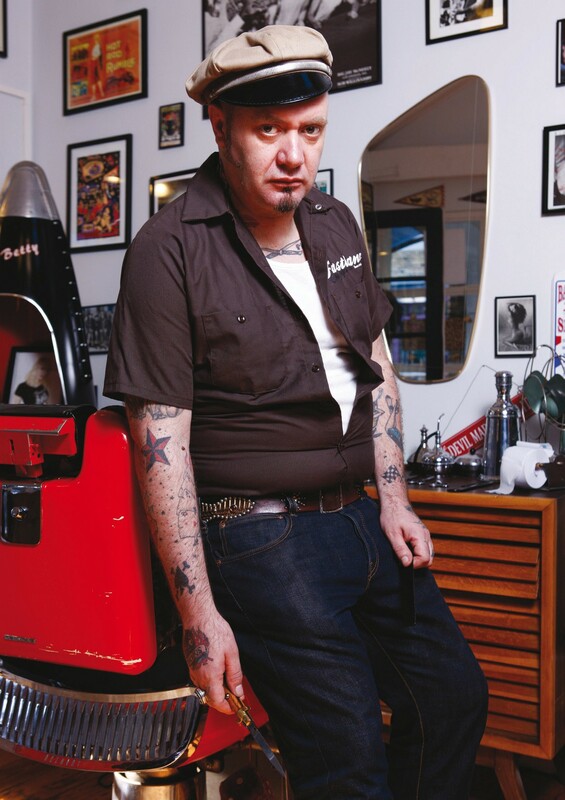 We meet ‘The Rock’n’Roll Motherkutter’ at his Kingly Court shop, It’s Something Hells, as he prepares the barber’s chair for none other than renowned rockabilly singer Mr Levi Dexter. ‘We’ve had Igor from Sepultura and the actor Jonathan Rhys Mayer, but cutting Levi Dexter’s hair… that’s cool for me because he’s one of my heroes. I’ve been listening to him since I was a kid. But though I’m happy when famous people come here, that’s not what I’m after. I’m happy when I do the first quiff for a guy who is 13 or 14.’ Inside It’s Something Hells you’re surrounded by posters emblazoned with pin-ups, slick ’50s furniture and period memorabilia, and the stereo is pumping out classic rockabilly at a blistering volume. 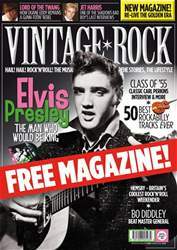 ‘We opened the shop two months after moving here from France four years ago,’ says Mr D. ‘We wanted to change our lives. The music scene is boring in France. We needed to come here because the scene is so big!